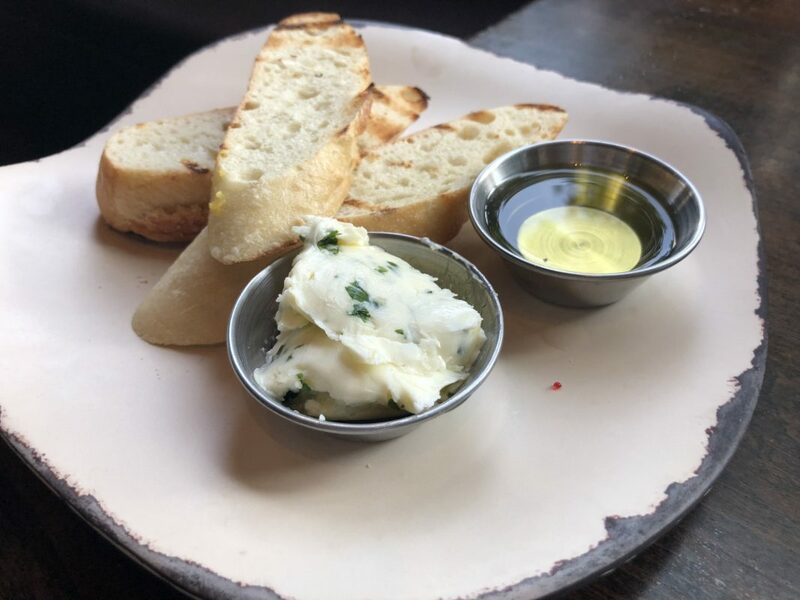 Over the past couple of years, I have visited places such as Florence, New Orleans, San Francisco, Amsterdam, Sonoma County, and so many other places around the world and I have written many articles on the best places to eat in those cities. As I was reminiscing on my culinary adventures, I realized that I have never written a full dining guide on my home, the peach state, and I decided that I needed to change that. 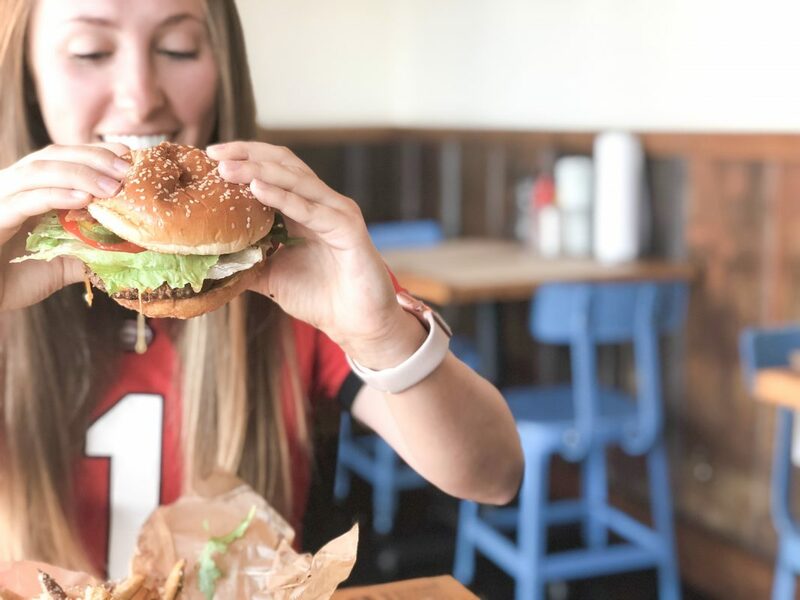 In this Atlanta Dining Guide, we will focus on the best restaurants in Atlanta for business dining! According to research conducted by Dinova in collaboration with the Global Business Travel Association, Millennials tend to eat on-the-go in fast food or other quick establishments by themselves, while Gen X and Baby Boomers opt to eat with clients and/or co-workers in “fast casual,” (Gen X), and upscale dining (Baby Boomers) restaurants. Out of everyone surveyed, 77% prefer to “eat like a local” while traveling, 52% search for restaurants that are popular with the locals, and 76% said that eating healthy on the road is “somewhat important”, or “very important.” In addition, 40% of Millennials reported having special dietary needs (Ian has special dietary needs, so I know how important this can be!). 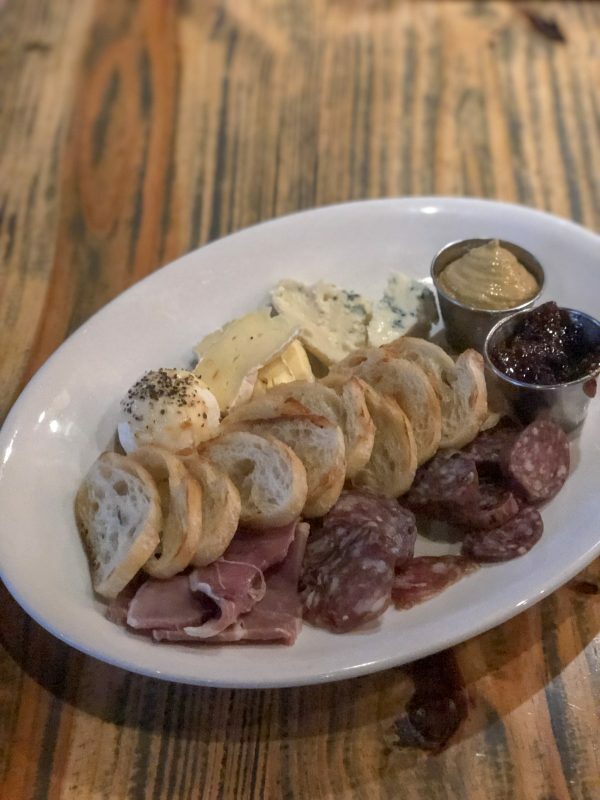 Located in Midtown, but with other locations around Atlanta, as well, South City Kitchen is the perfect place for a goal worthy business meal or even a Sunday brunch. The inside of the restaurant has a more formal feel with white tablecloths, but the patio was filled with more of a casual crowd. 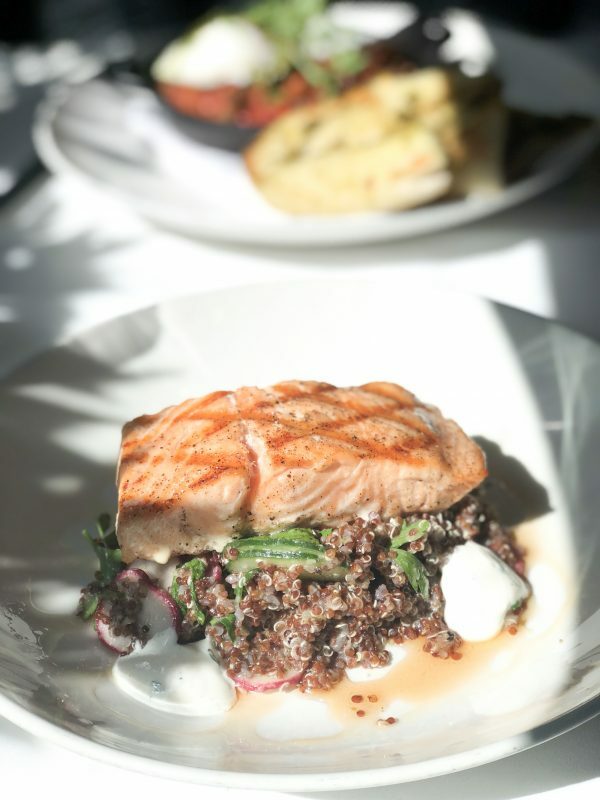 Every single dish at South City Kitchen was flawlessly prepared and plated and if you are in search of local Atlanta cuisine, this is definitely your place! 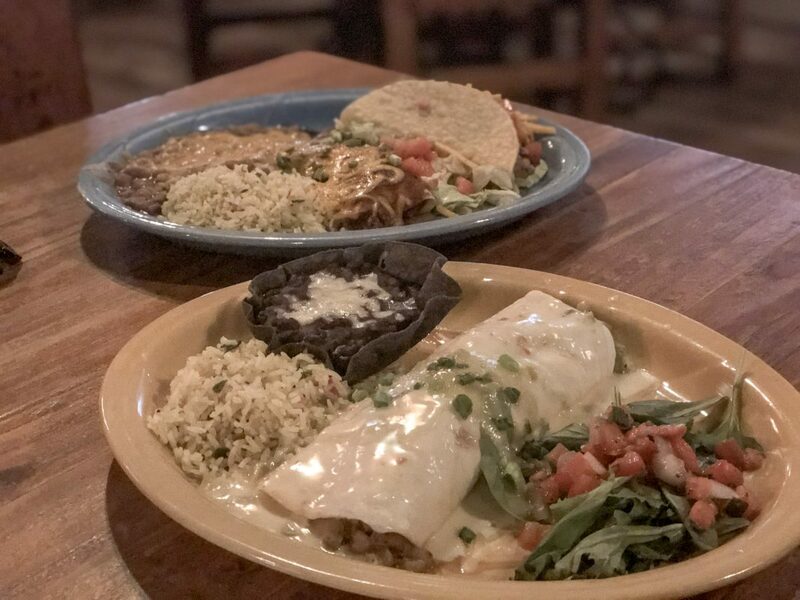 Serving high-quality, creative Mexican fare (and a long tequila list! 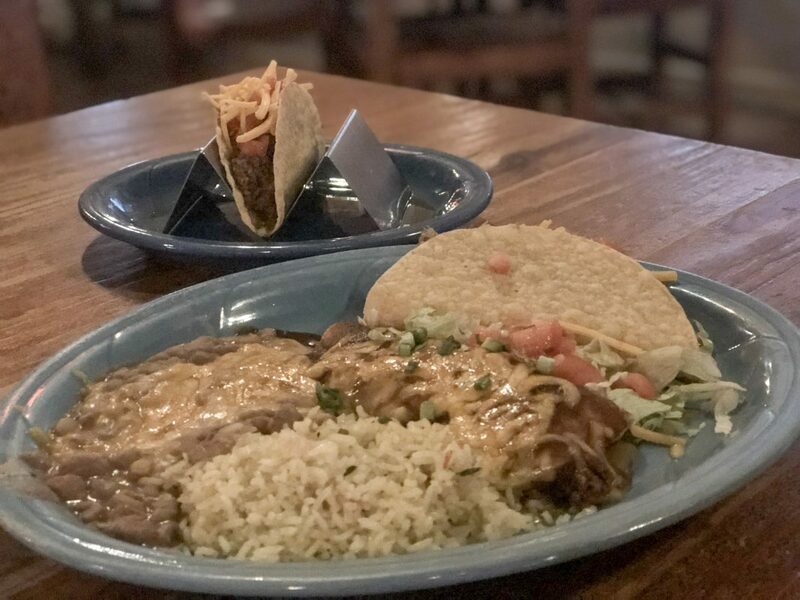 ), Guaco Joe’s is perfect for the business traveler in search of a moderately quick meal with vegan, vegetarian, and gluten-free options. 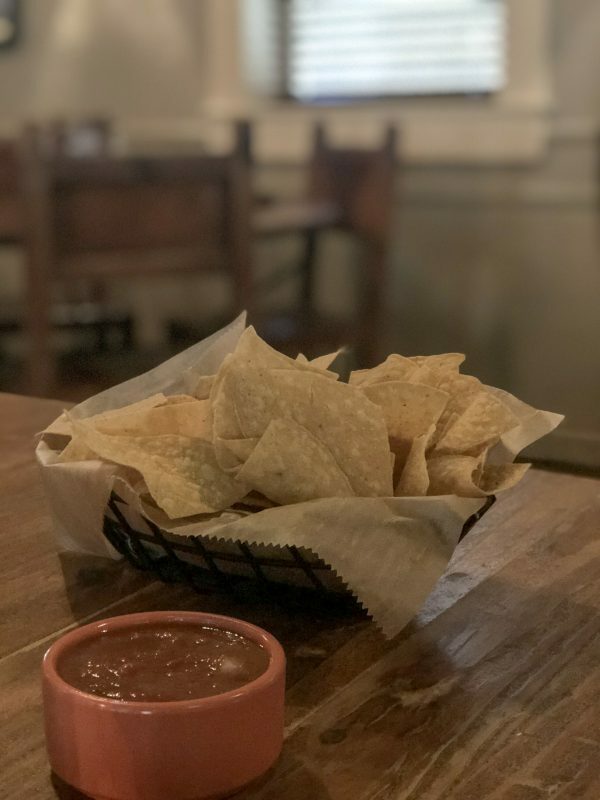 Located in Vinings, Guaco Joe’s is just 5-10 minutes South of The Cobb Galleria and Atlanta Convention Center, making it a very convenient restaurant for business travelers. The dress code is casual, but travelers in suits will fit right in, as well. 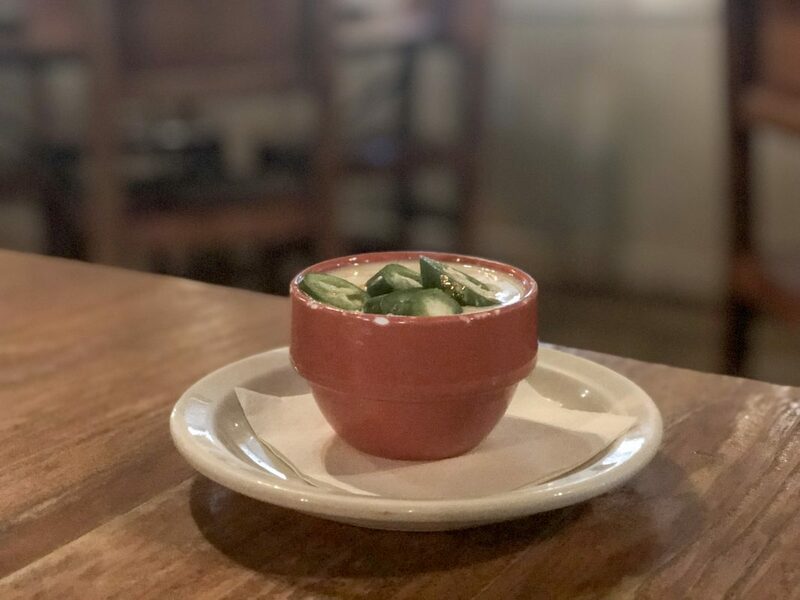 According to the Dinova app, Guaco Joe’s accepts reservations and online orders, but we were also able to get in during lunch without a reservation, with no issue at all. 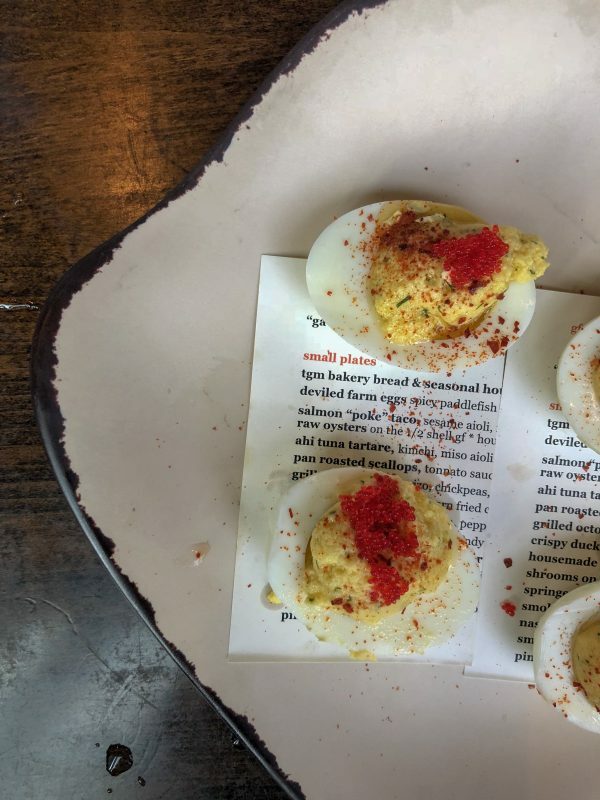 With a menu that evolves with the seasons, Saltyard is a great option for Atlanta business diners in search of a hip and interactive restaurant. 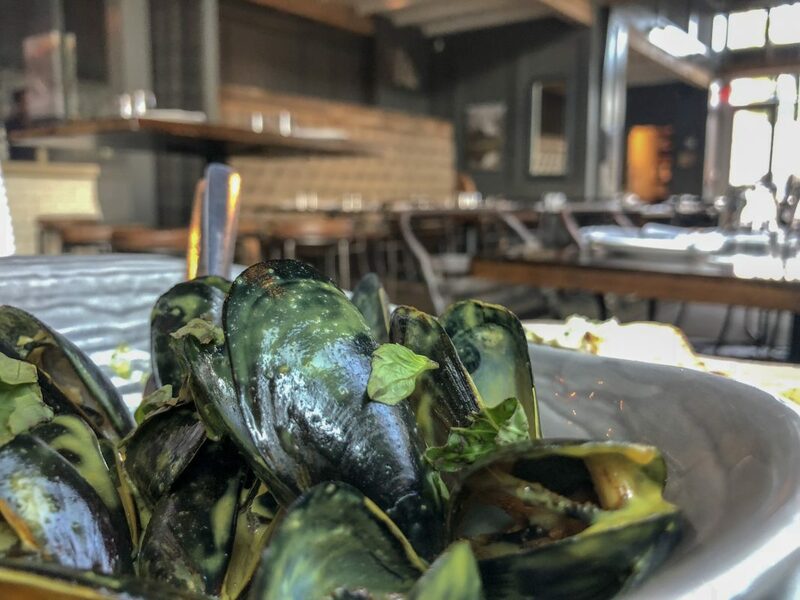 With menu options primarily revolved around tapas and shareable main courses, your time at Saltyard is not only a meal but also an experience. 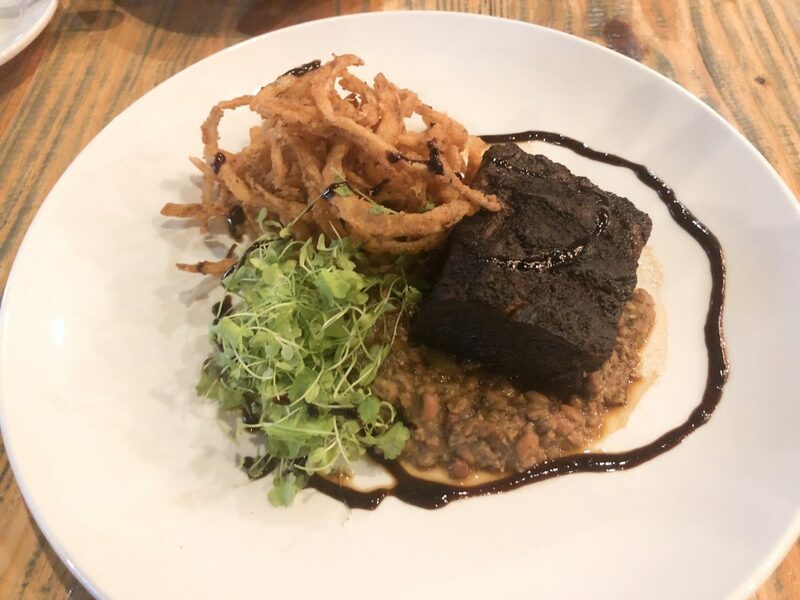 Saltyard prides themselves on being a farm-to-table restaurant with Gluten-free, healthy, organic, paleo, vegan, and vegetarian options, as well. There truly is something for everyone! 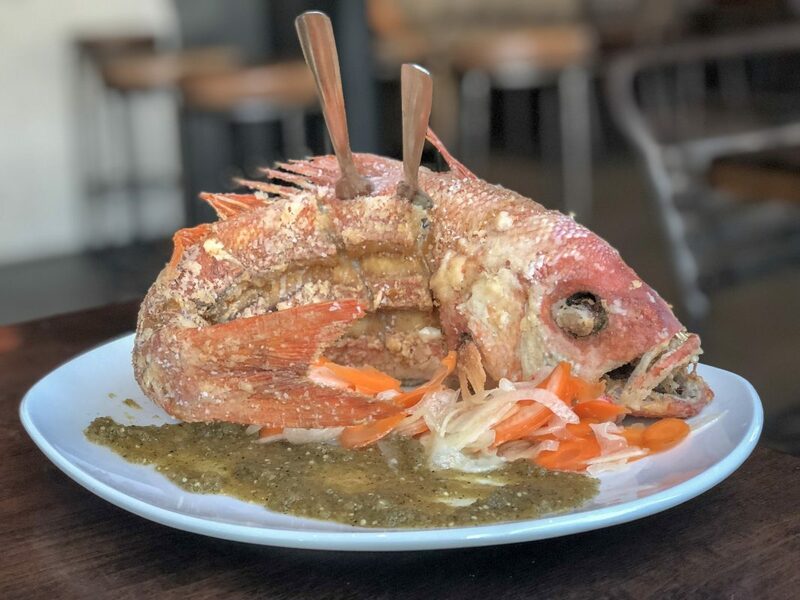 If you feel comfortable with ordering a whole fish (with the head on), I highly recommend ordering the crispy whole market fish. It comes with a radish fennel carrot shallot slaw and salsa verde. It is to die for! 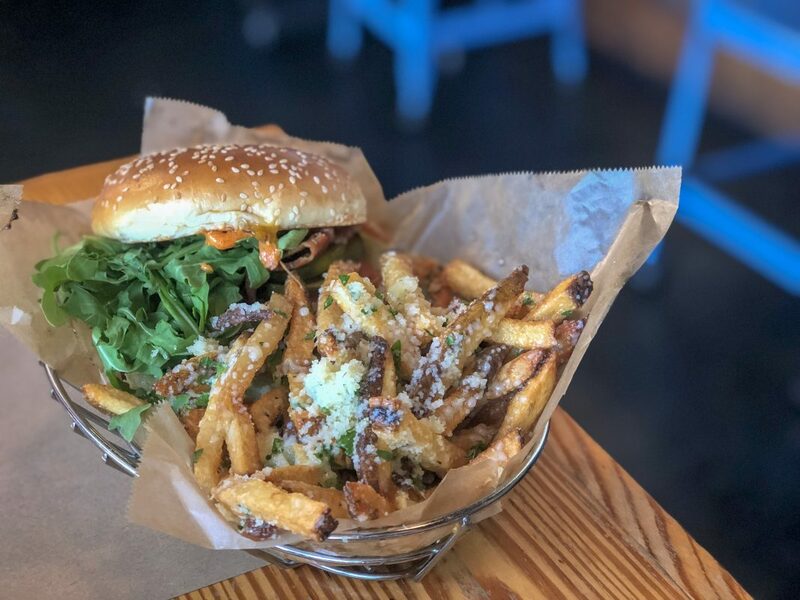 Calling all Millennials: Farm Burger is for you! 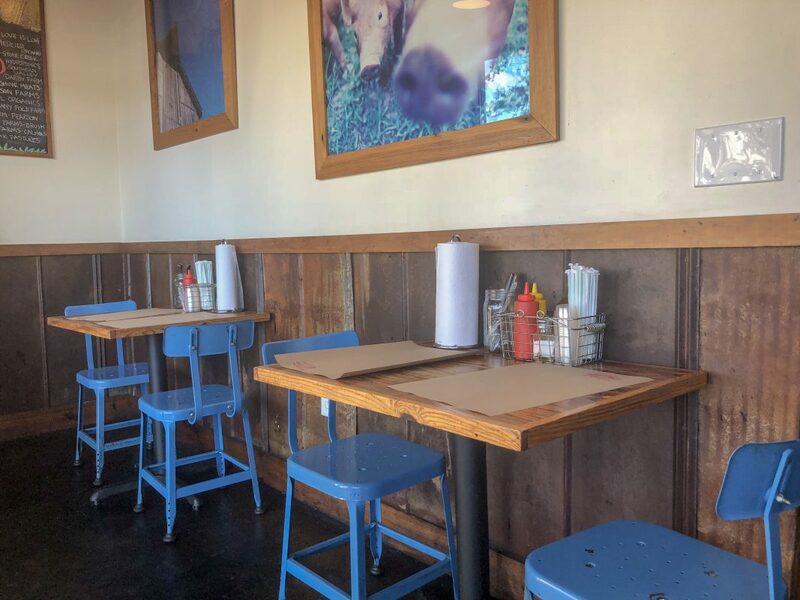 Farm Burger is a casual and fun burger joint, perfect for a quick lunch or dinner by yourself, or with co-workers (or casual clients!). 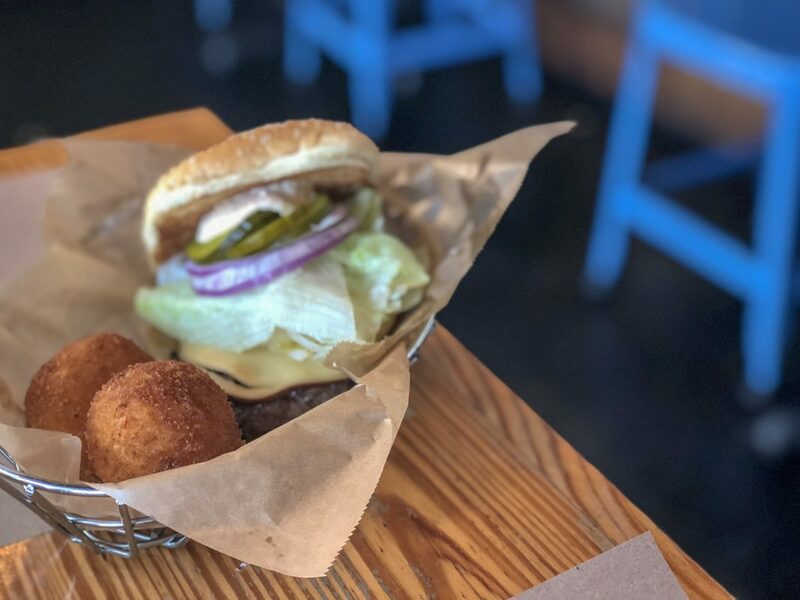 Farm Burger prides themselves on having grass-fed beef, with no antibiotics or growth hormones. They also say that their cattle are humanely raised and handled, which is very important to me (and probably most other Millennials, as well). According to their website, their menu tells the story of their farmers. The menu changes with the seasons, with the local chef’s creativity, and when a farmer brings something special. Their food is cooked from scratch, pushes culinary boundaries, and is sourced locally, when possible. 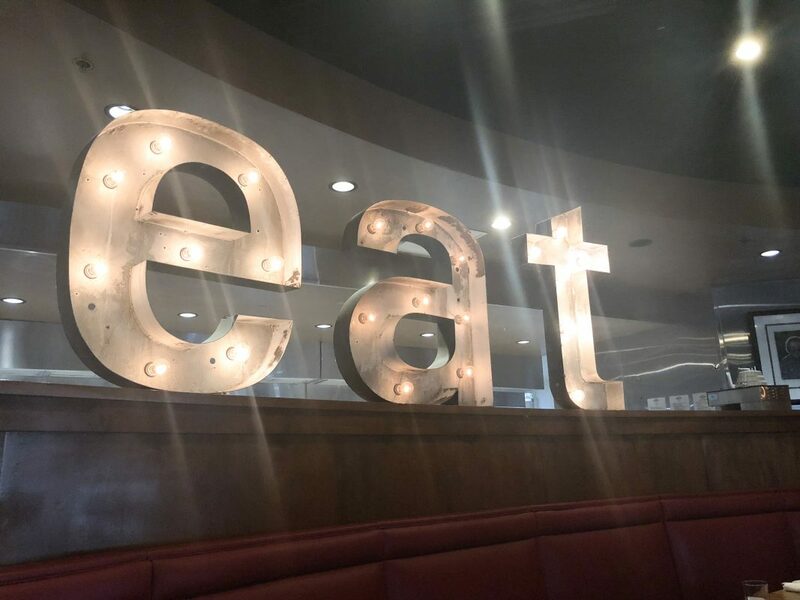 They serve farm-to-table food and have Gluten-free, healthy, organic, paleo, vegan, and vegetarian options. 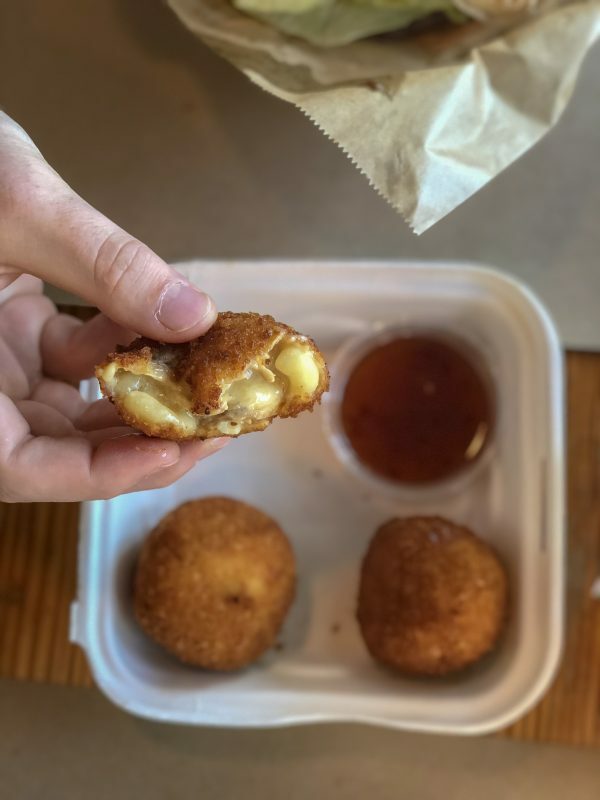 Don’t forget to try the mac & cheese balls if they have them on the menu – I could have eaten 100 of them. They have locations all throughout the Metro-Atlanta area in Buckhead, Decatur, Dunwoody, Grant Park, as well as out of the State locations such as Alabama, California, North Carolina, etc., so search for a convenient location on the Dinova app! 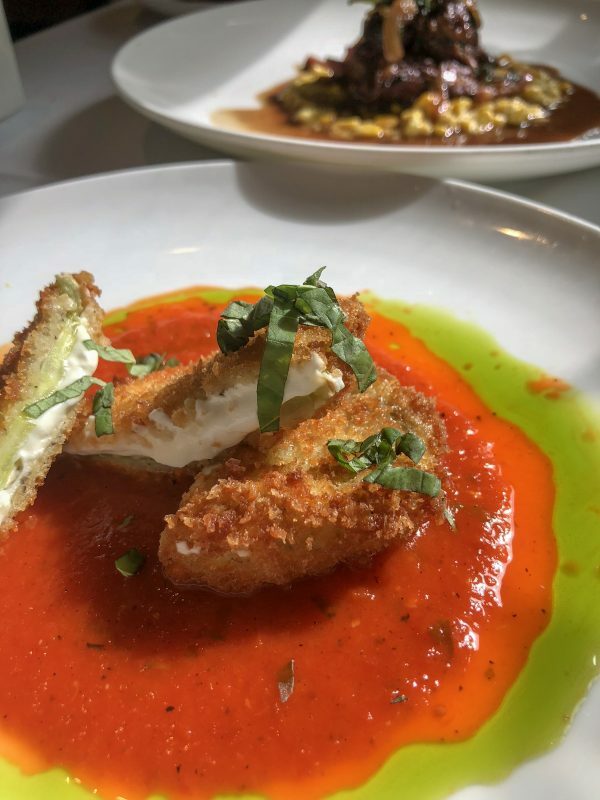 Established in 1999, Food 101 offers traditional Southern-American farm-to-table classics in the heart of Sandy Springs, Georgia. 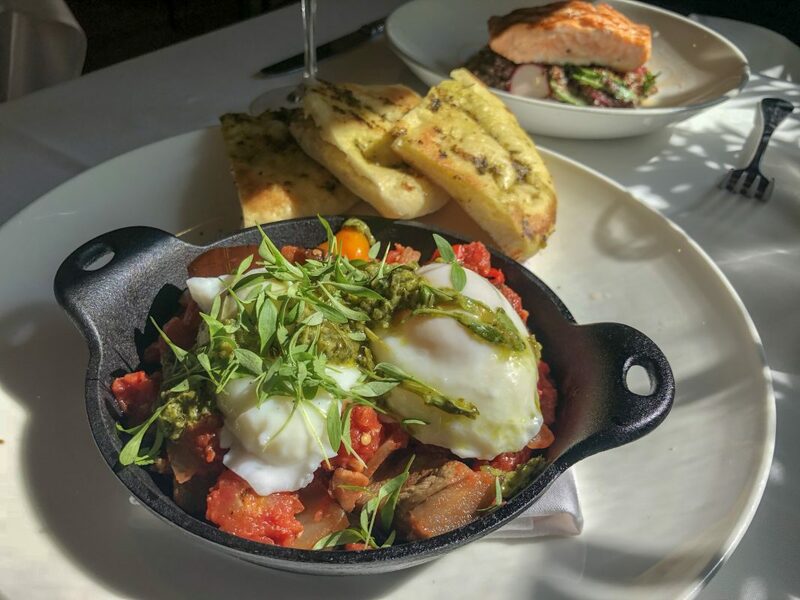 While I believe that their food and the feel of the restaurant appeals to more of the Baby Boomer and Gen X crowd, Millennials would be more than comfortable dining there, as well. 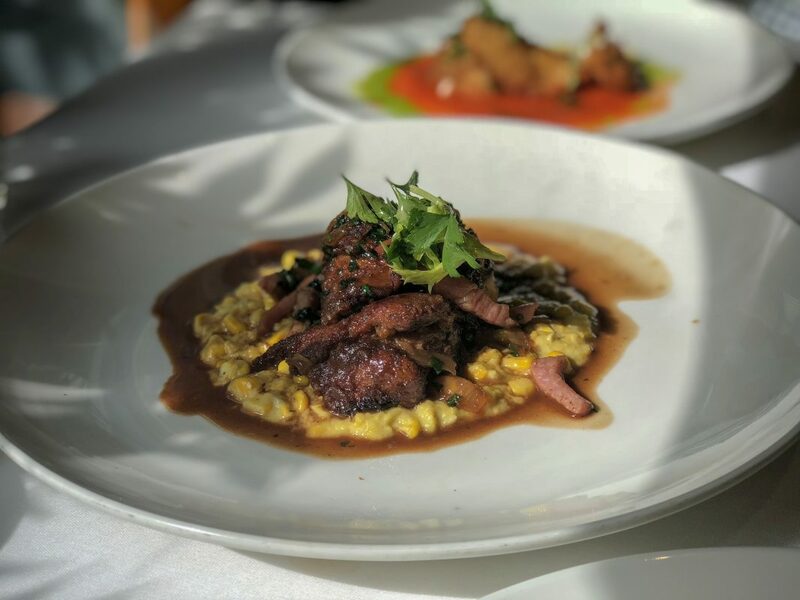 According to the Dinova app, “The chefs at Food 101 highlight a bounty of local ingredients prepared with a bold Southern flair that provides a deliciously satisfying dining experience. 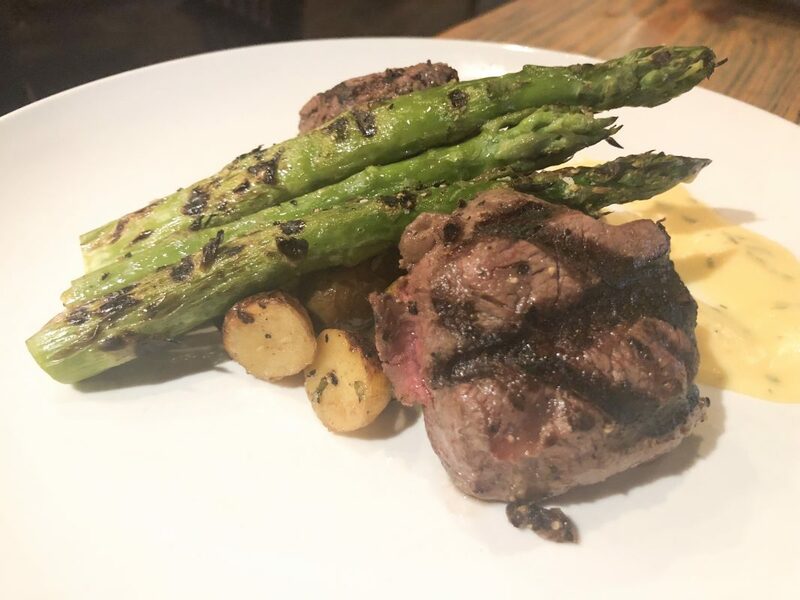 High standards of quality ingredients and cutting-edge cuisine have become synonymous with Food 101.” I definitely found this to be true from my perfectly executed beef tenderloin – it could not have been better! Although most of the people around us were dressed to impress in business attire, I would have felt comfortable dressing down a bit. Order the Caesar salad with anchovies and the beef tenderloin for a fantastic meal! Although I wish I could go on and on with more options, I will leave it at these five restaurants or else this Atlanta Dining Guide will take an entire day to read, but if you head over to my Instagram today, you can enter to win a $100 gift card from Dinova, and if you need more dining options in Atlanta, or around the Country, I would highly recommend checking out the Dinova app. If you have not heard about Dinova before, let me give you some information on them because businesses, business travelers, and restaurants can all significantly benefit from using their services. Dinova provides a marketplace where business diners can search the mobile app in order to find restaurants nationwide. 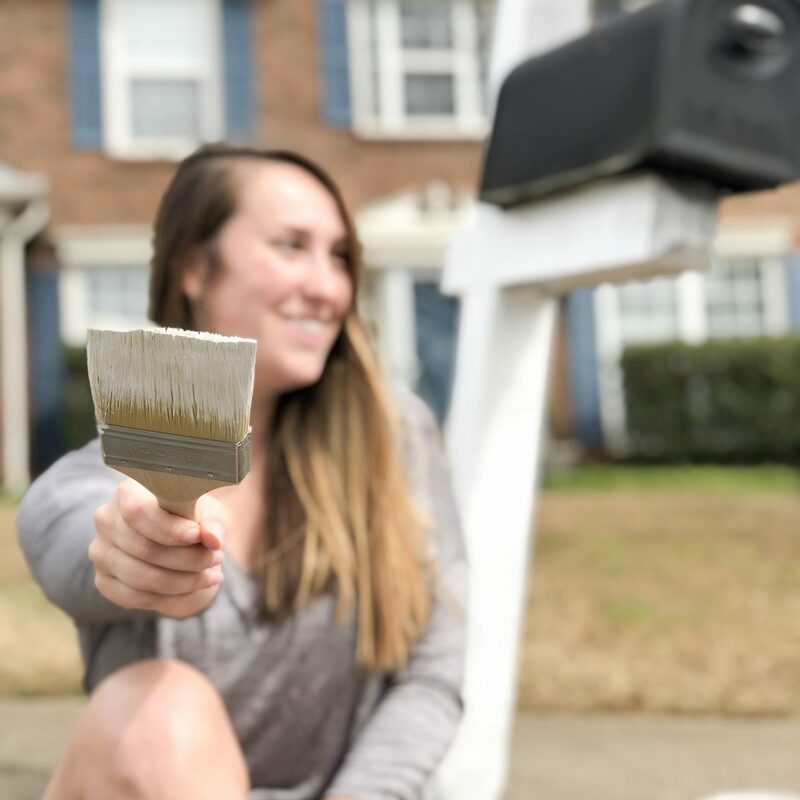 They pay as they normally would, with a credit card or cash, and then Dinova rewards them with points and rewards, while their employer earns rebates that can help offset travel costs. 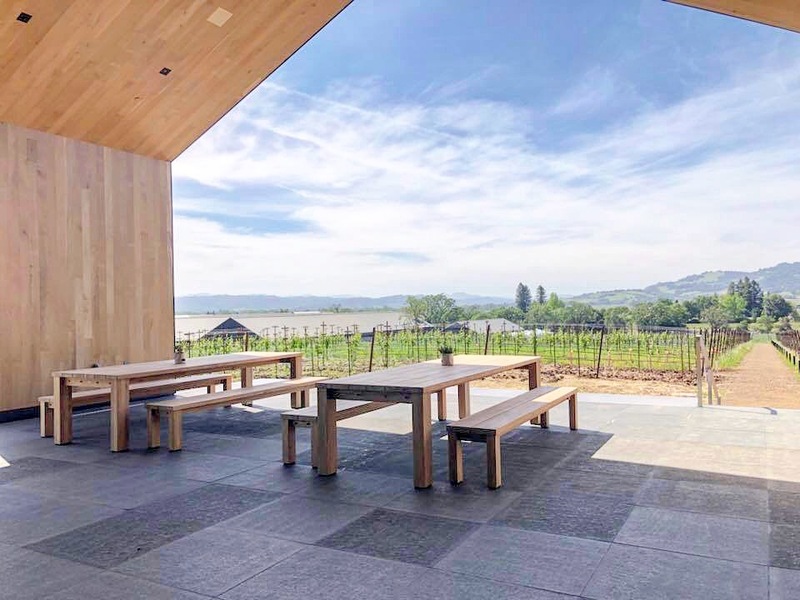 If Millennials will make up 75% of the workforce by 2025 (according to Forbes), businesses need to re-think their travel policies and strategies, in order to provide tools that help their business travelers research dining options that work for them. With Dinova, business travelers are able to find company-approved restaurants conveniently from their mobile device. In addition, they are also able to earn personal rewards from Dinova, rewarding them for dining within policy. Companies see significant benefits, as well such as making their employees happier (according to the research done by Dinova + GBTA, 74% of the people surveyed stated that they would be motivated to eat in a preferred restaurant if they could earn some type of reward), company rebates, and easier tracking of payment methods and reimbursements. “Since 2009, Dinova has provided an innovative marketplace that gives restaurants across the U.S. access to an often untapped dining segment. 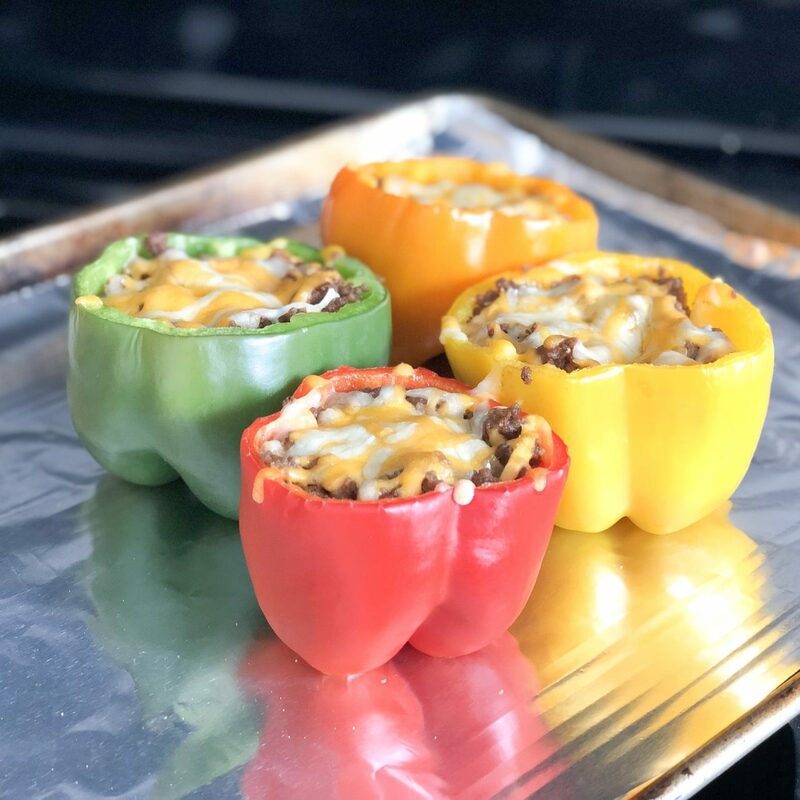 Our restaurant and enterprise partners understand the value of a business patron dining on official company business and know that the connections made over a meal drive understanding and shared perspectives that establish lifelong relationships. Dinova nourishes those connections to create value for restaurants, companies and the business people we serve every day.” Head on over to the Dinova website to find out more information! 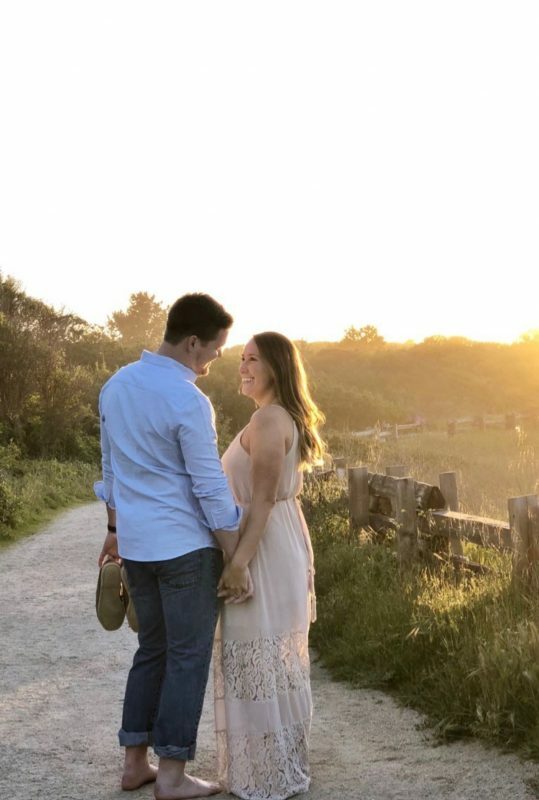 Thank you so much to Dinova for sponsoring this blog post today!